Last time, we talked a bit about the online gaming world and what a parent needs to know in terms of how cyberbullying can happen in a gaming context. Here, we’re going to give you a few specific tips that’ll help you both minimize the risk of your gamer kids getting cyberbullied and respond appropriately when it happens. If your child is younger, it’s a good rule to let them only be online friends with people they know in real life. This will prevent them from being harassed by bullies who target children. Once your child gets older, it’s pretty normal for them to make friends online. If you’re a non-gamer, it’s a good idea have a gaming adult whom your child trusts ‘friend’ them on their gaming platform, just to keep an eye on things. As with most social networks, gaming platforms have data privacy settings. Make sure they’re as tight as can be. If your child is the target of bullies on another social network or in real life, you don’t want them to be able to access another way to cyberbully your child. 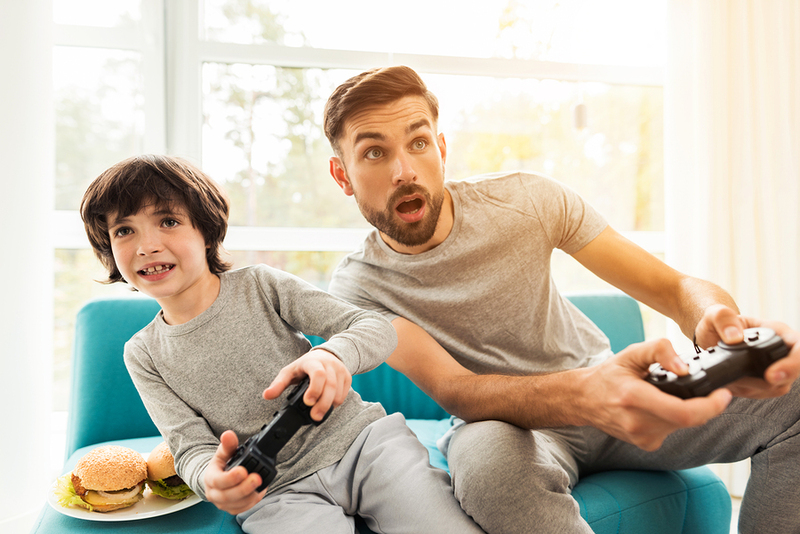 The parental controls can help you keep an eye on what kinds of games your child is playing, track or limit their spending, find out who they’re interacting with, and even help you protect their account. Steam, Xbox Live, the PlayStation Network, and the Nintendo Network all have comprehensive parental controls. Younger kids should play their games somewhere you can keep an eye on them, like the living room. This will help you pay attention to their emotional cues, listen in on their interactions with others, and maybe figure out just what the heck they’re doing anyway. Lots of multiplayer games include the option of a microphone. There’s a good reason for this. A microphone beats a keyboard when a gamer wants to tell a teammate “Hey, there’s two guys sneaking in from the left.” However, it’s worth carefully considering whether your child should use a microphone. Some gamers like targeting young kids for harassment and a microphone will give their voice away. Like any competitive event, online gaming comes with trash talk. It’s worth having a conversation about the line between trash talk and harassment. Some ideas: no racism, no sexism, no bigotry, keep trash talk on the game, no picking on someone who can’t defend themselves, and no piling on one person who’s being attacked by everyone else. Teach your child the golden rule of trash talk: if they can’t take it, they shouldn’t dish it. It’s good for your child to have a peer group online who can support them if they’re bullied. They can put their real life friends and family on their friends list. If they’re playing an MMORPG, such as World of Warcraft, they can seek help from the leaders of the organizations of which they’re a part. Here’s a final tip: it doesn’t hurt to play a few rounds of whatever your child is playing. That’s the best way to get a sense of what they’re interested in and what gaming looks like from their perspective.